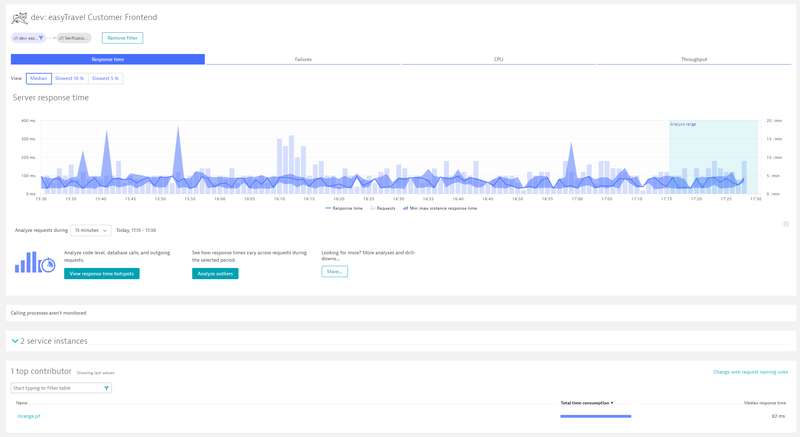 Over the past couple of months, we’ve extended Dynatrace service-analysis capabilities with powerful hierarchical filtering with Service flow and back trace view. This filtering has so far only been available in Service flow view and via drill-downs within other views (for example, response time analysis view). We’ve now extended Dynatrace filtering functionality to make it globally available across all service-analysis views. Click any of the Dynamic web requests analysis tiles (Response time, Failure rate, CPU, or Throughput). In the top-left corner of the page, you’ll now find our standard service-analysis filtering controls. From here you could click the Add filter button to create a new filter. For this example, however, expand the Create filter for drop list and select Called service (see below). This results in the creation of a filter that only shows us the requests that are calling this specific service (the Verification service). With the addition of this filter, we can now see that the service Orange.jsf is the only service that calls the Verification service. Now let’s restrict the view even further to only include requests that come from a specific application. 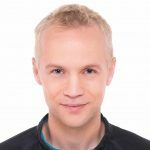 In this example, we’ll select the easyTravel dynatrace-dev sample application. To do this, expand the Create filter for list, select Called by, and then select the application. As you can see below, this results in the addition of a 3rd filter in the filter chain. 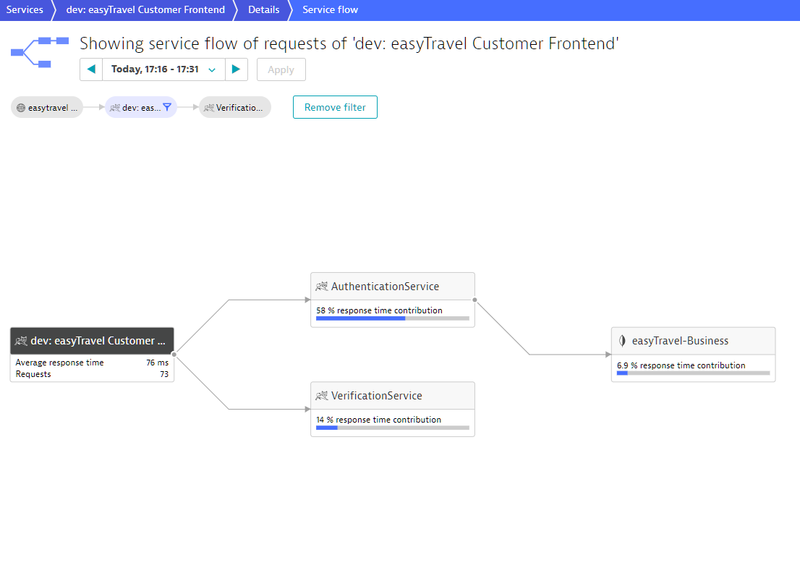 Now only those requests that are called by the easyTravel dynatrace-dev application are included in the analysis. From here, if you select any other service-analysis view (see Service flow example below), your filter settings will persist. 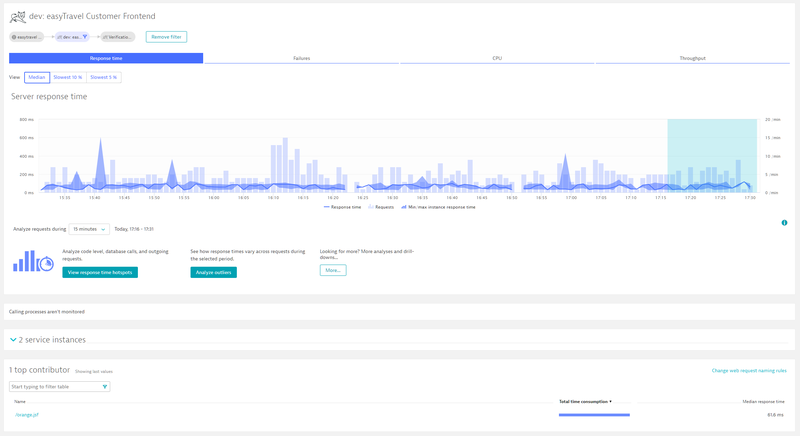 With this new integrated approach to service filtering, you can easily sort through thousands of requests and focus your analysis only on those requests that you’re interested in.